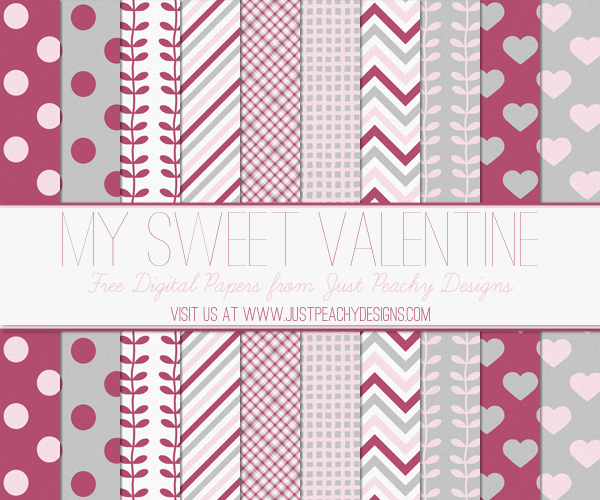 Here's another free Valentine's Day digital paper set for you. The12x12 inch papers feature hearts, polka dots, stripes and other patterns in rose, pink and gray. They're great not just for Valentine's Day, but for any sort of romance or love-themed crafting and scrapbooking.